We provide professional commercial and residential duct cleaning service to promote maximum performance and efficiency of the heating and cooling system. Proper HVAC maintenance helps save money by reducing energy costs and improve the life of the furnace and AC unit to minimize the chance of breakdown. Green and Clean Air Solutions is an established air duct cleaning company that services all of Sonoma County and surrounding areas. Among the cities where it performs duct cleaning, air duct cleaning and heat duct cleaning are: San Rafael, Santa Rosa, Petaluma, Napa, Sonoma, Sausalito, Greenbrae, Sebastopol. 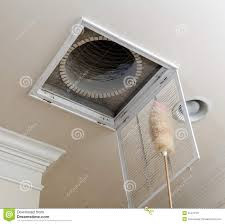 Two major reasons people hire duct cleaning service are to promote healthy indoor air quality and to improve the performance and efficiency of their heating and cooling system. Only the most up to date and environmentally safe air duct cleaning methods are used. Our professionally trained technicians will perform heat duct cleaning which removes virtually all of the dirt, lint, dust and other pollutants from your air ducts providing a cleaner breathing environment for you and your family. Call (707) 296-7022 to schedule an appointment today! Santa Rosa, Forestville, Healdsburg, Cloverdale, Novato, Windsor, Fulton, Sonoma, Napa, Cotati, Rohnert Park, Sebastopol, Bodega, Bodega Bay, Tomales, Petaluma, Novato, San Rafael, Fairfax, Graton, Alexander Valley, Yountville, Calistoga, St. Helena, American Canyon, Larkspur, Corte Madera, Greenbrae, Sausalito, Marin City, Mill Valley, Clear Lake, Lakeport, Ukiah, Hopland, Peacock Gap, Ross, Wood Acre, Point Reyes, Stinson Beach, Rio Nido, Guerneville, Marshall, Olema, Bolinas, Jenner, Duncan Mills, Nicasio, Bloomfield and surrounding cities and communities.